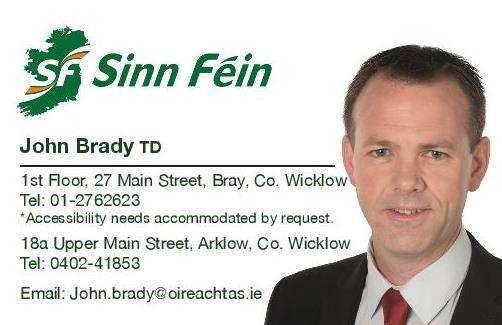 Sinn Féin TD for Wicklow/East Carlow John Brady has urged the Courts Service to assist in providing essential youth mental health services for Bray. “The Mental Health Services of the HSE have requested to take over the old courthouse building at Boghall Road in Bray from the Courts Service. “The HSE intend to use the unused building to provide for the development of a Jigsaw service in the Bray area. “Jigsaw, who is the National Centre for Youth Mental Health, provides a unique and essential service for our young people. The need for such a service was reflected in a recent Wicklow Comhairle na nÓg survey of 1,000 young participants who identified mental health as the number one issue for their age group. “The development of Jigsaw in Bray would therefore, make a significant and positive contribution to youth mental health. “I urge the Courts Service to transfer this unused building to the Mental Health Services of the HSE in providing this essential service for young people in Bray and surrounding areas. “I have written to the Courts Service and I have urged that they transfer the building to the HSE.